The Vineyard Theatre proudly announces that its 30th Anniversary season will continue with the New York premiere production of THE NORTH POOL, a new play by Pulitzer Prize finalist and Vineyard’s Paula Vogel Award-winning playwright Rajiv Joseph (BENGAL TIGER AT THE BAGHDAD ZOO), directed by Giovanna Sardelli (ANIMALS OUT OF PAPER). THE NORTH POOL, starring Stephen Barker Turner and Babak Tafti, will begin performances on Thursday, February 14, 2013 at The Vineyard (108 E. 15 St., between Irving Place and Union Square East). Opening Night is Wednesday, March 6at 7:00 p.m. Tickets can be purchased by calling The Vineyard Box Office at 212-353-0303 or online at www.vineyardtheatre.org. In the psychological drama THE NORTH POOL, a high school principal and a Middle-Eastern-born transfer student engage in a politically and emotionally charged game of cat and mouse, with dangerous consequences. THE NORTH POOL has scenic design by Donyale Werle (Tony winner for PETER AND THE STARCATCHER; BLOODY BLOODY ANDREW JACKSON, BARE); costume design by Paloma Young (Tony winner for PETER AND THE STARCATCHER); lighting design by David Lander (THE LYONS, BENGAL TIGER . . . , THE HEIRESS); and sound design by Daniel Kluger (TRIBES). Scheduled through March 24, THE NORTH POOL will be performed Tuesdays at 7 p.m., Wednesdays through Saturdays at 8 p.m. and Saturdays and Sundays at 3 p.m.
Tickets for THE NORTH POOL are $30-$75 (Premium tickets are $100) and can be purchased by calling The Vineyard Box Office at 212-353-0303 or online at www.vineyardtheatre.org. Based on availability, $20 Rush tickets are available 2 hours prior to curtain at the Box Office. 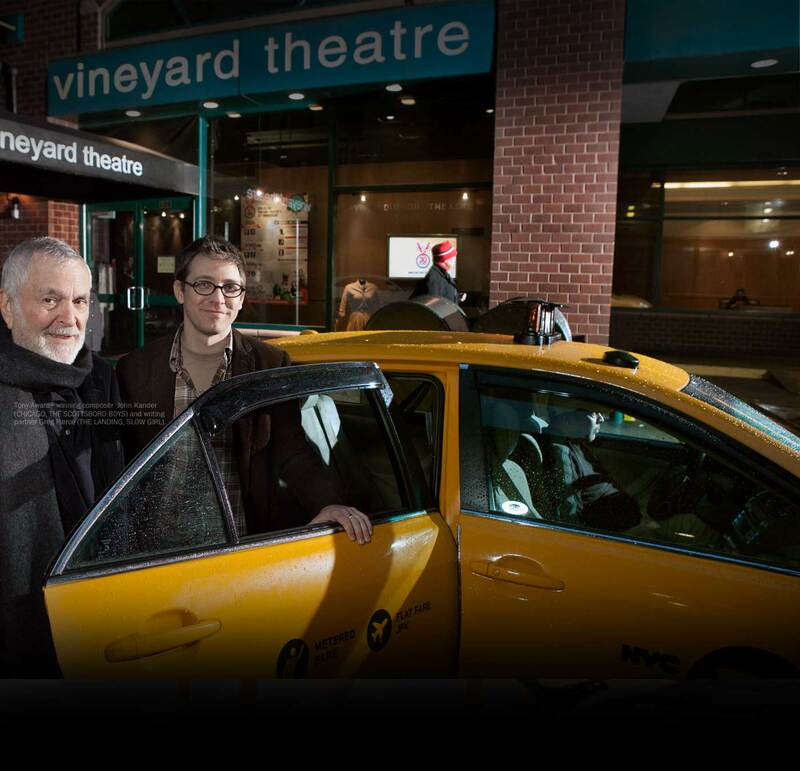 Celebrating its 30th year, the Vineyard Theatre is one of the nation’s leading non-profit theatre companies. Dedicated to the creation and production of daring new plays and musicals, The Vineyard has consistently premiered provocative, groundbreaking works, including Nicky Silver’s THE LYONS; Marx, Lopez and Whitty’s Tony Award-winning musical AVENUE Q; Kander and Ebb’s THE SCOTTSBORO BOYS; Bell and Bowen’s [title of show]; Paula Vogel’s How I Learned to Drive (1998 Pulitzer Prize), Edward Albee’s Three Tall Women (1994 Pulitzer Prize); Tarell Alvin McCraney’s Wig Out! ; Will Eno’s Middletown; and many more. The Vineyard’s productions have been honored with two Pulitzer Prizes, three Tony Awards, and numerous Drama Desk, OBIES, Outer Critics Circle and Lucille Lortel Awards. The Vineyard Theatre’s leadership includes Douglas Aibel (Artistic Director), Jennifer Garvey-Blackwell (Executive Producer), Sarah Stern (Co-Artistic Director), and Michael Page (General Manager). Later this season, Vineyard Theatre will present the world-premiere of SOMEWHERE FUN by Jenny Schwartz (GOD’S EAR), directed by OBIE Award-winner Anne Kauffman (BELLEVILLE, DETROIT).